Whether you’re on holiday in Benalmadena or you are staying in one of the nearby resorts of the Costa del Sol such as Torremolinos or Fuengirola, this weekend is worth to visit Benalmadena, as there is a wide range of activities to spend a great day with family and friends. Now it’s officially summer and the weather invites to be out and about with the kids and have a good time outdoors. For this weekend we expect pleasant temperatures around 25º C and we can have a great day at the beach or do other activities without suffering too much heat. 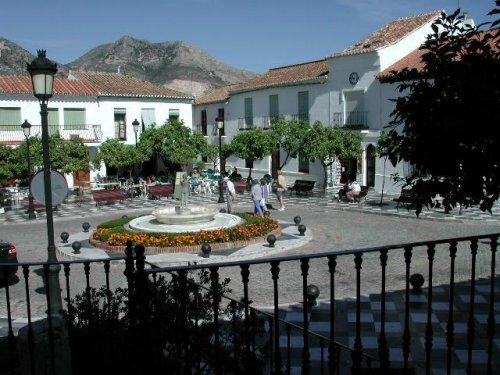 During these days (24th to June 29th) is being celebrated the fair in Arroyo de la Miel, one of the areas of Benalmadena; there is a fair day in the village centre and from 10 pm starts the night fair at the fairgrounds. Every day of the fair there will be performances in the Plaza de la Mezquita and concerts in the Auditorium and in the Town hall booth, starting at 11:00 pm and 1:00 am respectively. Another fun attraction for all the family is the Paloma Park in Benalmadena, situated a few meters from the seafront and close to the Marina. Its more than 200,000 square meters host walking areas, an artificial lake, two playgrounds for children and more than 450 species of animals. Here we can enjoy a refreshing drink and a pleasant walk. Who wants to see animals that may not be seen every day at close can visit the Selwo Marina which is located in Arroyo de la Miel, near the cablecar to Mount Calamorro. Who has booked a rental car at Malaga airport and can move around freely, should also go to see the Buddhist Stupa of Benalmadena which is situated in Avenida Retamar, close to the Mediterranean motorway (A-7). This religious building with its golden dome is the largest of its kind in the West and has fantastic views over the Mediterranean Coast. Here is situated also the new Butterfly Garden of Benalmadena, a lovely family entertainment destination, where we can see more than 1,500 butterflies flying around visitors. And who wants to go to the beach in Benalmadena can choose between four beaches which have been awarded this year with the blue flag in terms of quality. Benalmadena Blue Flag beaches are Playa de Torrevigia (next to Sunset beach Club), Playa Fuente de la Salud and Playa Malaspesquera (both situated next to the Marina) and Playa Carvajal (bordering with the municipality of Fuengirola). As you can see, who comes to Benalmadena has a great range of activities for all tastes. The town can be reached easily and quickly by the Mediterranean Motorway (A-7), both from Malaga airport and the resorts located along the western Costa del Sol. The best way to get around the coast is by car, so book your car now to get the most from your vacation, because it won´t be for lack of supply!